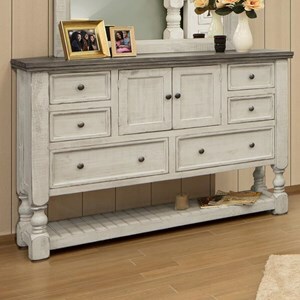 This rustic dresser will add style and storage to your bedroom. 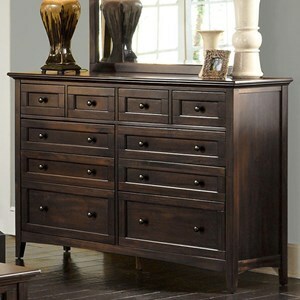 The dresser has a sleek distressed finish and metal accents. 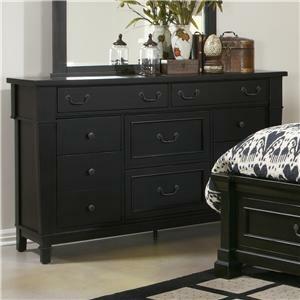 With six drawers and a unique sliding door with a mesh panel, the piece provides plenty of storage space. 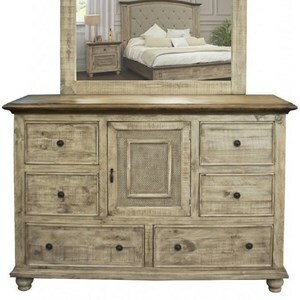 Pair with the matching mirror, bed, and nightstand for a matching and stylish rustic bedroom set. 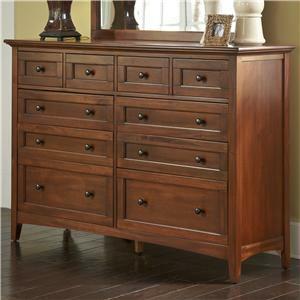 The Pueblo Dresser with Sliding Mesh Door by International Furniture Direct at Zak's Home in the Tri-Cities, Johnson City, Tennessee area. Product availability may vary. Contact us for the most current availability on this product. 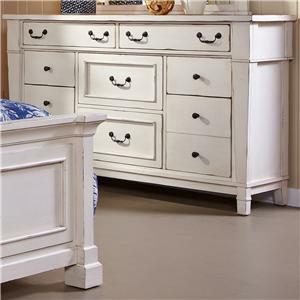 The Pueblo collection is a great option if you are looking for Transitional furniture in the Tri-Cities, Johnson City, Tennessee area. 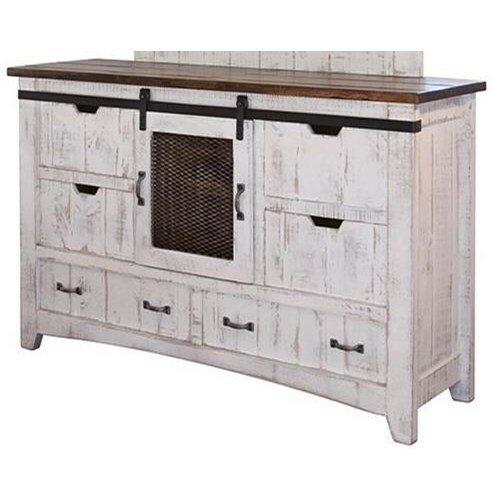 Browse other items in the Pueblo collection from Zak's Home in the Tri-Cities, Johnson City, Tennessee area.